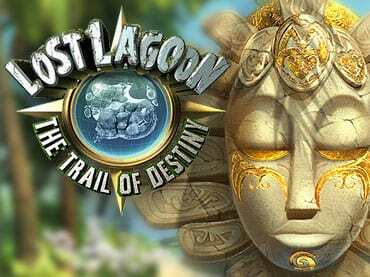 Discover a fate forgotten in Lost Lagoon: The Trail of Destiny, an engaging journey across a mysterious deserted island in this free hidden object game. A turbulent balloon ride across the ocean crash-lands you on a strange island. Stranger now because the accident wiped your memory clean and there are no answers to any questions. A map slightly jolts your mind with the thought that you are meant to be here, but where exactly are you and where is everybody else? Only by trekking through the landscape of this island can you figure out why you are here, and why you have placed yourself in such a dire circumstance. Search the island coasts and interior to recover your memory. Investigate an ancient temple, a sunken ship, and gloomy catacombs to find answers. Uncover helpful items, solve intriguing puzzles, and capture images within stunning locations. Each clue brings you closer to unveiling all of the truths, and perhaps your ultimate destiny. Free Game features: - Find your destiny in this revealing Hidden Object journey; - Search a mysterious island for answers to recover your memory; - Investigate an ancient temple, a sunken ship, gloomy catacombs and more; - Uncover helpful items, solve intriguing puzzles, and capture images; - Reveal the secrets of the Lost Lagoon. If you have questions about Lost Lagoon: The Trail of Destiny game, please contact us using this form.